Published: March 30, 2016 at 10:39 a.m. Updated: March 30, 2016 at 01:35 p.m. It didn't take long for the Cleveland Browns to give head coach Hue Jackson one more challenge in his new job. 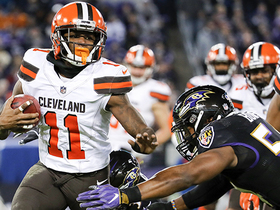 Along with rebuilding a perennial loser and working with a front office that has little experience in personnel evaluation, Jackson is taking on the task of remaking quarterback Robert Griffin III. 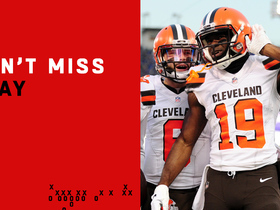 It's the type of experiment that already has made some skeptics question what RGIII can do for the Browns. Those same doubters aren't seeing that Griffin's success will say more about Jackson than it will the former Pro Bowl signal caller. The people who know Jackson well believe he absolutely will help RGIII rebuild his career. Jackson already has built a career as one of the league's best quarterback whisperers, and Griffin comes to him as a man desperately seeking redemption. It would be one thing if the Browns were a team that might be harmed by taking on an embattled star who's looking for a second chance. The reality is that this is a team that has nothing to lose by trying to resuscitate Griffin's floundering career at this stage. It's already apparent that Griffin has an innate trust for Jackson. When asked during a conference call what excited him most about playing for Jackson, Griffin said, "You guys have seen it. Just an excitement for the game, the passion that he has and dedication. You have those things, and things will eventually turn in your favor. He's got a proven track record working with quarterbacks, working with teams and molding the offense to what the team has. I look forward to that and just growing with him. It's really exciting for me." It's important to note the most glaring benefit for Griffin in making this transition (which begins when Griffin starts offseason workouts on April 4): Jackson is not Mike Shanahan or Jay Gruden, the two men who coached him in Washington. Jackson wields a much lighter touch in handling quarterbacks while also providing the necessary structure and discipline for them to succeed. One NFL coach who worked with Jackson previously in his career said Griffin will benefit greatly from Jackson's "technical knowledge [of the position]" and "communication skills." That's another way of saying that Griffin isn't likely to find himself in the middle of a third straight adversarial relationship with a head coach. That's not to suggest Griffin didn't contribute to his own problems in Washington. There have been enough reports about his outsized ego and a formerly cozy relationship with owner Daniel Snyder to think Griffin didn't do himself any favors as his career began to implode. But Shanahan and Gruden also went out of their way to blast Griffin publicly when the right opportunities arose. It's hard to see Jackson allowing this relationship to devolve to that level of acrimony. Jackson has built his reputation as a great quarterback mentor on the careers of two players: Baltimore's Joe Flacco and Cincinnati's Andy Dalton. Jackson was the Ravens' quarterbacks coach during Flacco's first two seasons in the NFL (2008 and '09), during which Flacco completed over 60 percent of his passes and became the first rookie QB to win multiple playoff games. Jackson spent the last two seasons as Dalton's offensive coordinator with the Bengals. 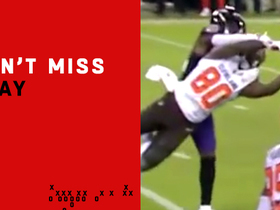 He was calling the plays when Dalton elevated his game in 2015, a season that saw the quarterback rank second in the league in passer rating (106.2) before sustaining a fractured thumb in Week 14. Nobody is expecting Griffin to show that kind of improvement in his first season in Cleveland. The most he's been given by Jackson so far is a chance to compete for the job, with the very real possibility that the Browns will select a quarterback with the second overall pick in this draft. "Hue is going to be firm and demanding," said a coach who worked with Jackson earlier in his career. "The expectations will be laid out clearly and the responsibilities will be drilled home consistently. Trust is something that works both ways, and this is a quarterback who had issues with two head coaches in his last spot. So it's good that he's got a fresh start in a new environment." The best thing Jackson can do is tap into the humbling Griffin endured during his time in Washington. This is a quarterback who went from being the 2012 NFL Offensive Rookie of the Year to losing his job to Kirk Cousins last season. Griffin ultimately spent an entire year watching a quarterback selected three rounds after him in the same draft lead the Redskins to an NFC East title. As much as Griffin has kept quiet about that experience, that demotion should drive him every time he steps onto a football field in the near future. Jackson also has to convince Griffin of how good he used to be in that first season. As much as Griffin talks about still having great confidence in his skills, those abilities also weren't good enough to keep him under center last season. He's also had to fight through injuries -- including torn ACL and MCL ligaments in his right knee at the end of his rookie season -- and the struggles that came with playing in two different offenses in his first three seasons as a starter. Those problems hopefully will be enough for Griffin to put his full faith in Jackson's makeover plan. One of Jackson's major tasks will be helping Griffin break the habits that followed him from Baylor's spread offense in college to the NFL. The longer Griffin has played, the more obvious it's become that he doesn't anticipate passing windows well and his decision-making isn't as quick as it needs to be. Shanahan was able to compensate for those weaknesses by merging some of the Baylor playbook with the coach's West Coast offense principles. Griffin blossomed into a superstar in Year 1 ... but then the Redskins went south after his knee injury and nothing has been the same ever since. 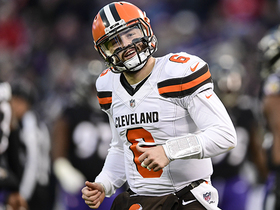 The good news for Griffin -- and maybe not so much for long-suffering Browns fans who haven't seen a reliable starter in that franchise since the NFL re-established it in 1999 -- is that the bar is disturbingly low in Cleveland. Jackson will get to work with Griffin in a town that just endured the two-year migraine that was Johnny Manziel. There's a dearth of offensive talent on the Browns and the front office has been surprisingly slow to acquire players in free agency (while allowing proven veterans like center Alex Mack, right tackle Mitchell Schwartz and wide receiver Travis Benjamin to walk). In other words, nobody should be expecting a savior to immediately emerge from this transaction. The more plausible scenario is that Jackson reminds Griffin of everything he was supposed to be after becoming the second overall pick in the 2012 draft and electrifying the league in that first season. That won't happen without a new attitude from Griffin, but this is more about the approach Jackson is prepared to take with his latest addition. As Griffin told reporters, "I believe in what [Jackson] is going to bring to the table." That's good to know because Jackson represents RGIII's best shot at turning his career back in the right direction.